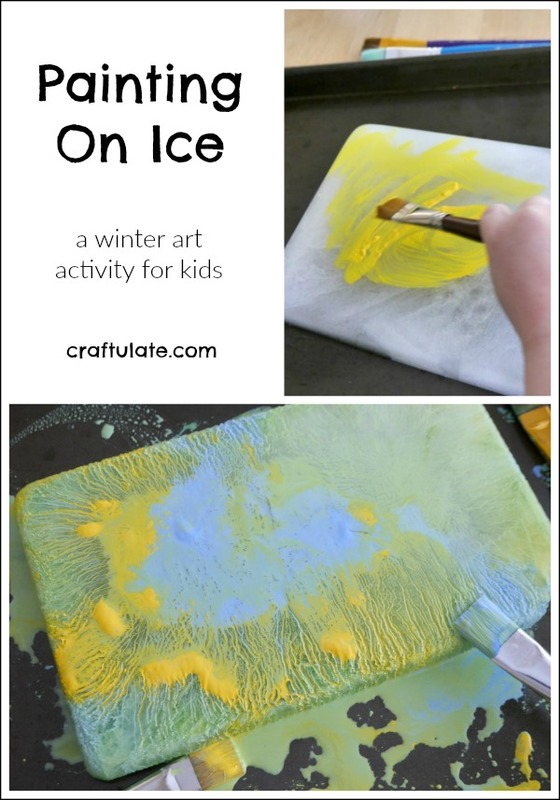 Have your kids tried painting on ice? It’s such a fun a winter art project! 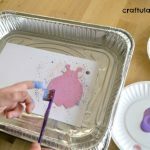 Painting on ice isn’t a new idea – in fact one of my favorite sites Teaching 2 and 3 Year Olds went viral with it over five years ago! 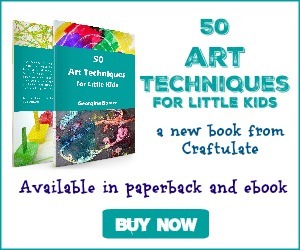 But most recommend using watercolor paints – which of course is understandable with toddlers. But I really wanted to try it with bold acrylic paints, and as my son is 6 – I thought it was worth a try! I set up the activity the night before, by pouring water into some baking pans. It’s under zero degrees (F) here right now, so I put them outside to freeze – but of course you could use the freezer instead! 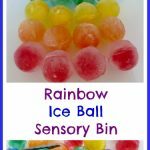 The next day, I turned out the ice blocks onto larger baking pans. I set out some paints and brushes, and invited my son to try it out. He started by painting the whole block one color. I hadn’t watered the acrylic paints down at all – but I didn’t need to. As they connected with ice, the brush flowed easily across it. He then mixed in some other colors and created some swirling patterns. As the ice block melted and started to move around, things started to get a little messy! By the time he was finished – things had got even messier! Luckily, we had our favorite Lava Soap on hand to remove the paint. Have you tried it before? It’s often used by gardeners and mechanics – but it’s great for removing paint, too! The soap contains tiny bits of rough pumice, which is perfect for eliminating stains from dirty hands! Once he got all cleaned up – of course he wanted to try it again! 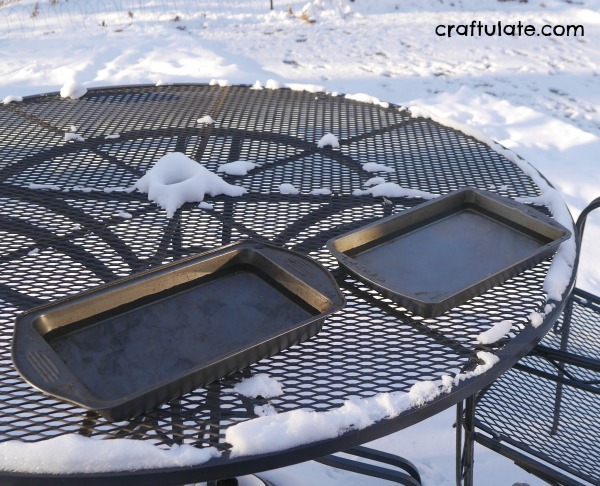 So I rinsed off the ice block and the baking sheet (yes, it’s that easy! ), and then he could start again! Lava Soap can be found in many retailers, including Walmart! You can also follow Lava Soap on Facebook or YouTube.